Macroeconomic and emerging market concerns have dented confidence, but commodity markets remain fairly tight. Demand from China remains the greatest uncertainty for the mining sector in 2019. Cashflow generation from the natural resources sector remains strong, balance sheets have been repaired. The sell-off in physical gold and related equities provides opportunities. Energy transition generates threats and opportunities for both oil and renewables. The backdrop of synchronised global growth 12 months ago has – as many predicted – given way to today’s reality of less accommodative financial conditions and slowing growth. This has brought about weaker headline commodity prices, softer sentiment and unflattering equity market valuations for leading companies in the sector. We can now buy many of the European oil majors and diversified miners on less than 11x 2019 earnings. For the mining sector, the greatest area of uncertainty is China demand in 2019. The existential threat of a ‘China crisis’ is never far from investors’ minds in this sector and is in focus again. If China and emerging market demand holds in 2019, there is every reason to expect a move higher in metals prices and a rerating of mining equities. Source: Bloomberg, Investec Asset Management, 31.08.18. *Simple average of BHP Billiton, Rio Tinto, Glencore, Anglo American. Time period selected for contextual and illustrative reasons. In the energy sector, we see the oil price normalising to a level nearer to $70 per barrel, a price which balances reasonably conservative supply and demand expectations. While US sanctions against Iran could over-tighten the physical market, we could equally see a softer period of demand in 2019. At the same time, Saudi Arabia may consider this an opportune moment to appease the West by ensuring the physical market is adequately supplied. We were uncomfortable as speculators drove the price up to $85 per barrel, and now observe that the price is likely to overshoot to the downside. Source: Bloomberg 31.08.18. Final bar 2018 YTD. The agriculture sector has witnessed another false start for grain markets as favourable weather in most production areas (except Europe and Australia) resulted in record yields and yet another surplus year. In agriculture in 2019 we could see rising prices in corn and soybeans, a decent year for potash and nitrogen fertiliser and a stronger pricing environment for many of the protein sectors. The scars of the commodity bear market are still raw. The 2011-2016 decline in commodity prices and equity valuations has taken its toll. Investors worry that natural resources are not the place to be late in the cycle, but actually the opposite may be true if the bull market ends with an inflationary ‘melt-up’. Market participants remain obsessed with holding a concentrated basket of tech stocks, leaving a lot else in the shade. This presents an opportunity for those prepared to pick a more independent path. All of this gives us grounds for optimism for the natural resources sector for 2019. Gold prices have struggled so far in 2018 pegged back by a strong US dollar. This has not been helped by the weakness in emerging markets over the summer, which has clearly had an impact on gold and gold equities. Concerns around Turkey, Argentina and even Brazil, alongside the worry of further contagion, have led to US dollar strength and a weakening of gold prices. In 2013, when emerging markets last sold off, gold prices fell from US$1600/oz to US$1200/oz and gold equities were down sharply. At the same time, the US economy has continued to grow strongly, fuelled by tax cuts and a robust technology sector, which has supported expectations of further interest rate rises in the near term. Like 2013, those emerging markets with the greatest vulnerabilities have been worst hit. Unlike 2013, the list of countries with genuine vulnerabilities is more modest. Aside from Argentina and Turkey, which both have significant external vulnerabilities, most other emerging markets are in better shape. For instance, the huge adjustment in recent years has generally seen emerging market current account balances move from deficit to surplus. With the net short position on gold the highest for several years, we believe it is now oversold, but a more definite recovery will be needed to restore confidence in the equities. What is clear is that valuations for many gold miners look attractive currently, particularly on free cashflow multiples. With debt levels reduced and costs benefiting in many cases from weaker currencies, we believe that any rise in gold prices could lead to an equally large recovery for gold equities. Even if gold prices stabilise, we think equities could outperform as investor confidence is gradually restored. Following the announced Barrick/Randgold merger, the prospect of more M&A has increased with several companies looking to consolidate in both the mid and large cap sectors. Source: Bloomberg, Investec Asset Management, 31.10.18. Time period selected for contextual and illustrative reasons. The move from burning wood to burning coal which began on a global basis around 1840. The move from burning coal to burning oil & gas which really started around 1915. In both cases, it took about 50 years for the new entrant to arrive at 50% of the overall global energy mix. This transition is likely to be faster than the previous two because of the global warming urgency and the speed of technology cycles. As the Bloomberg New Energy Finance Outlook makes clear, we need to get wind and solar to 50% of the global electricity generation mix in considerably less than 50 years. And electricity generation is only one part of our overall energy consumption. We have developed an investment framework for the energy transition, founded on two core principles. First, these transitions can be more accurately characterised as ‘energy diversifications’, as the arrival of a new energy source causes the existing sources to lose market share but not disappear. 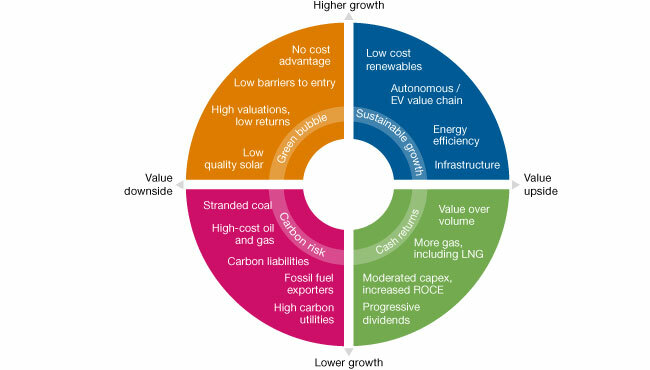 Second, from an investment perspective, there are likely to be winners and losers in both old and new energy sources. Gold and the implications of the energy transition are important thematic inputs to our portfolios for 2019. We believe that the stronger balance sheets and improved cashflow generation from our sector companies should lead to a more resilient and less volatile market performance if 2019 does bring a reset of global markets. 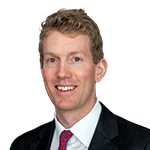 Furthermore, the low market rating and reduced market ownership of these stocks suggest that expectations are relatively modest at this stage. As part of The Big Picture Podcast channel, Tom Nelson looks at prospects for the resources sector in 2019. Specific risks: Commodity-related investment: Commodity prices can be extremely volatile and significant losses may be made.